You are here: Home / What is a Small Conservatory? How big and how much is a small conservatory? Size, as they say, matters. In the case of conservatories for a residential property, size obviously matters for prices in how it impacts by increasing or decreasing the installation cost. However, you also have to take into account the major design style of the conservatory. 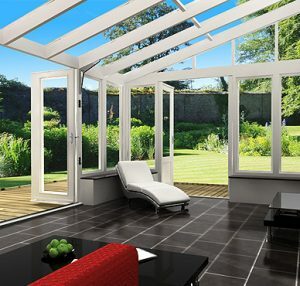 It could be the case that a medium size lean-to conservatory can be fitted for a lower cost than a small Victorian conservatory, because the Victorian style has a more ornate shaped appearance and quite a complex vaulted roof – this translates into design & labor increased cost, plus it could take longer to install. A small conservatory would be around 8 feet x 10 feet (2400mm x 3000mm) and that would be within the parameters of a permitted development and therefore not generally need planning permission to be built. For this size of conservatory, in a lean-to style, you could be charged anything from £3,500 to £7,000.